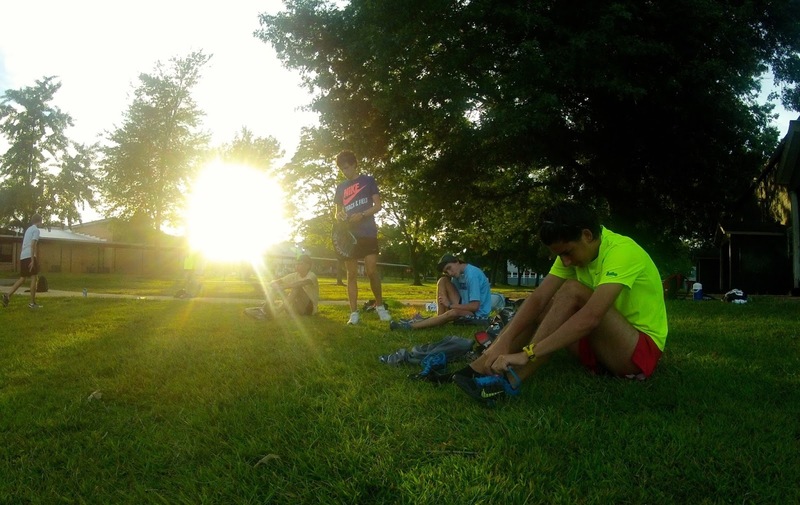 How to thrive in your first year on the cross country team. Is this your first year running cross country? Do you want to make varsity? Or do you simply want to become a better runner? Both goals are achievable if you approach your summer in the right way. No matter your sport background, you have all summer to get ready for the first day of practice and the fall season. Participating in cross country can be a valuable experience. By being patient, consistent, and a team player, you can have a very successful first season. It’s not going to be easy. Running is a difficult sport—one that can take years to master. Don’t expect to bounce through fast intervals in your first workout. “The most important thing for a new runner is not experience, but patience,” says Adam Kedge, the coach at Albuquerque Academy in New Mexico. His teams have competed in five NXN meets and won 20 state titles in track and cross country. “Kids who start early in the summer, don’t get carried away right out of the gates, and keep showing up every morning will ultimately succeed,” he says. To start out, Kedge recommends doing two to three weeks of running at least four to five days in the 20–40 minute range. That will allow you to get into shape while not overdoing it. If you’ve done another sport, keep doing it as a form of cross training. Go out to shoot some hoops or kick around the soccer ball—it can be a great supplement to your running. A lot of runners are worried about making sure they work up to big mileage weeks and tough workouts. But for someone who just started running, Kedge recommends focusing on time and adding more and more to your running after two to three weeks of getting in shape. Keep in mind: For a first-time runner, a 20-minute run is a workout in itself. To build up, first, work up to five to six days a week. Then, go a little farther on your runs, getting up to 45­–50 minutes. On top of that, add indrills and a core routine, too. If you do want to try some workouts before the first day of practice, do something like a simple fartlek run. Try 5 x 1 minute on, 1 minute off, and do it by feel, starting out slow, at 75 percent effort, and picking it up each “on” section only if you feel capable. Making the varsity squad depends on a number of variables. How good is the team? How naturally talented is the runner? Can you stay injury free? But making varsity shouldn’t make or break your season. Being on the JV squad can be a good thing. And remember, have patience. If you take your time building up mileage and getting better at workouts, you might work your way up to varsity by the end of the year or be called upon in case someone gets injured or sick. Enjoy the team aspect of the sport and cheer on your teammates. You could form a special bond with them. “There is something magical about the daily toil, suffering together, and developing a sense of pride and a sense of family that comes with cross country,” Kedge says. 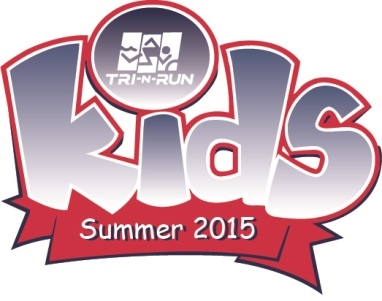 Leaders are certified RCCA, USAT, or youth strength and conditioning coaches. * Parent Power hour is a FREE hour of walking along the Heritage Trail while adding in some workout stations. Parent Power Hour is suitable for parents of all fitness levels. BLOOMINGTON – For more than 40 years, Dave Howell sought a state championship. On Saturday afternoon, the longtime Lafayette Jeff coach felt that thrill and the manner in which it happened far surpassed what he'd imagined the moment to be like. Resigning after 41 years as the Jeff cross country coach in the fall, Howell coached the Broncho Unified track and field team in its inaugural season, which ended by raising the IHSAA state championship trophy at Indiana University's Robert C. Haugh Complex. "This is something they will never forget the rest of their lives and that's what it's all about," Howell said. "These kids have so much in perspective. They just want to come out and have fun." Warsaw won the first Unified state track title a year ago. 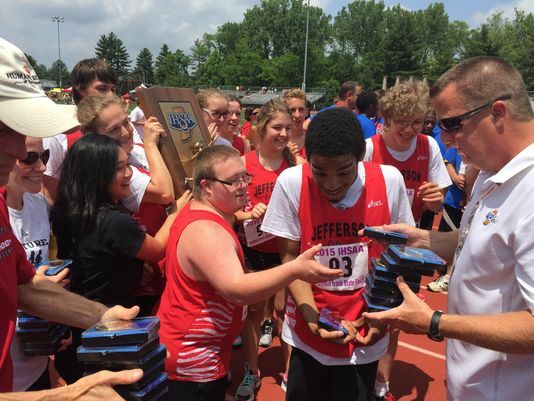 At last season's state finals, Howell inquired about Unified track, which partners high school students with and without intellectual disabilities to compete in a sanctioned IHSAA sport. West Lafayette finished second in the state finals last season and has since introduced the sport to Lafayette Jeff and Harrison. "I've got to thank (coach) David Joest at West Lafayette," Howell said. "They are the ones that told me about this and got us started. Without them getting us started, this wouldn't happen." Scoring is kept by heat in five events: the 100, 400, 400 relay, long jump and shot put. Champions are awarded by flight rather than event. Last week, Lafayette Jeff finished second to Kokomo in the sectional. On Saturday, the Bronchos did one better. "It's awesome," said sophomore Sierra Martin, who competed in the shot put and 400 relay. 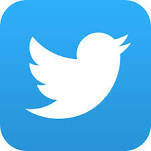 "This is really fun. We like coming out here and winning races." Chris Lamberg and Lexi Seymour won individual championships in their flight, each scoring 10 points for the Bronchos, who edged runner-up Kokomo for the team title. Lafayette Jeff team members include Robert Brown, Michael Brummett, Alicia Clayton, Alex Gray, Kaline Harden, Sara Hipsher, Kody Isenberg, Lucas McCalment, Mathew McCalment, Sylvia Mueller, Scotlyn Sunkel, Lamberg, Martin and Seymour. Together, that group accomplished the ultimate thrill, showcased by the smiles none could seem to wipe from their faces on Saturday. "I am happy for the school, for Lafayette Jeff," Howell said. "We have a special needs program and these teachers love these kids. This feels good." They wore pink to stand out, but their performance was an attraction on its own. For the second year in a row, West Lafayette's 3,200-meter relay team opened the IHSAA girls track and field finals with a state championship. "The spectators can spot the pink and when you are racing in a different uniform, it seems special," junior Kristen Johnson said. ItoroUdo-Imeh, Kristen Johnson, Lauren Johnson and Susan Hubbard ran the ninth-fastest (8:58.72) high school 3,200 relay in the nation this year and the Red Devils became just the second squad in Indiana state finals history to break nine minutes in the event, joining Eastern's 2013 record-setting team. The win was a springboard for West Lafayette, with an enrollment of 688, which traded blows with Indianapolis schools Pike (enrollment 3,160) and Warren Central (3,602). West Side trailed state champion Pike 43-42 entering the final event and finished third after Pike was third and Warren Central was runner-up in the 1,600 relay. 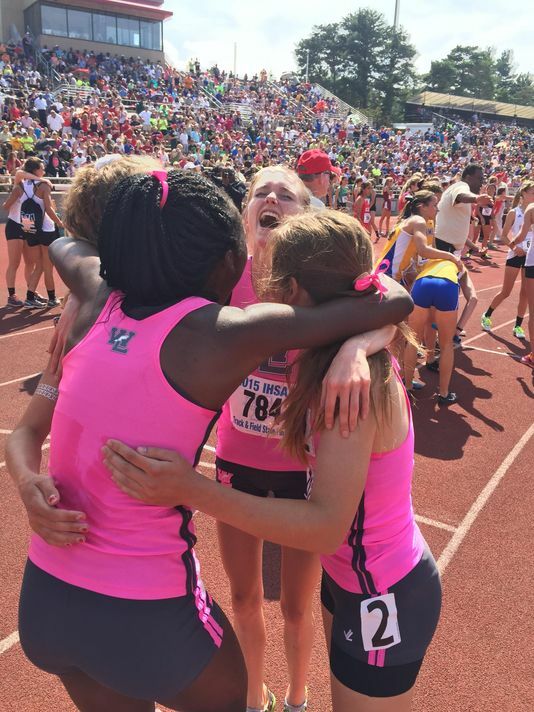 The third-place showing, WL's best since being runner-up in the first girls state finals in 1974, meant more given that track and field is not broken up into classes based on enrollment figures. Pike finished with 50 points, aided by sophomore LynnaIrby accounting for 37 of them, and Warren Central scored 48. West Lafayette had 42. "For most of the big schools, this is a typical state meet and for us, it is atypical," WL coach Lane Custer said. "I am a single-class guy all the way. I always have been. We want to know what we can do against these schools. It's your perspective and how you compare yourself." Regardless of the jersey color, Hubbard brought the large crowd to its feet as she dashed ahead of Carmel during the final 200 meters. Just like last year, Hubbard anchored the state championship relay. Her split of 2:09.7 was two seconds faster than Plainfield's Samantha Woodford would run later in the night in winning the 800. Hubbard, who also competed in the 1,600 relay, was fourth in the 800 in a school record 2:13.37. "You always want to do better than the past, right?" Hubbard said after the opening relay, unable to clear a grin from her face. "You don't want to lower your standards." The Red Devils claimed their title one day after the West Side boys won the same event. It is the first time the same team won both 3,200 relay races at the state finals since Carmel in 2001. Trying to repeat on top of what their male counterparts did 24 hours earlier proved to pack the pressure prior to the meet. "When the guys won, it became that the girls have to win, too, so two teams win in the same year," Kristen Johnson said. Kaia Harris also gave the Red Devils an early boost with a third-place throw of 139 feet, 9 inches in the discus. Harris continued her second-half surge this season with a throw that replicated what she'd been doing leading into Saturday's meet. "I was throwing close to what I threw today in practices, so I knew I was capable of it, but I didn't know if I would actually pull through with it," the sophomore said. As Harris was finishing the discus, Udo-Imeh was leading off the 3,200 relay. Just the fourth time she's run the event all season, Udo-Imeh performed as advised. The freshman hurdler was challenged to open the race with a 2:20 split. Udo-Imeh hit 2:20 flat before letting Kristen Johnson close the gap with a mark of 2:15.2. Lauren Johnson ran her 800 in 2:13.6, then came back about four hours later to finish runner-up to Anna Rohrer's record-breaking performance in the 3,200. Rohrer outran the field in 10:11.20. Johnson crossed the line in 10:54.43 and West Lafayette senior Rachel Bales wasn't far behind, finishing fourth in 10:58.51. Sophomore Alex Deryn's fifth-place time of 44.71 seconds in the 300 hurdles kept West Side in the title hunt heading into the 3,200. Hubbard and Bales graduated, but the third-place standing overall left a mark to show that West Lafayette will come back as a force next year. "We had so many girls coming to state and we knew it was going to be like this," Bales said. "We were so well-rounded this year with a pole vaulter, hurdles, a thrower and we always have distance. This was great." In a race across the U.S., athletes help scientist gather data on adaptations to stress. Alex Ramsey (left), ran most of the Race Across USA barefoot. Robert Young (center) was the overall winner, and Bryce Carlson (right) conducted research on how athletes respond to physical stress. Bryce Carlson doesn’t let his research confine him to a lab. Instead, the professor of biological anthropology at Purdue University, whose race log includes nine 100-mile races and a 2:48 marathon PR, took his study on the road. The 3,098-mile event started back in Huntington Beach, California, on January 16. Runners averaged about a marathon per day—some days were a little more than 26.2, a few were a little less—and they got a day off every time they entered a new state. After 140 days, 117 marathons, and seven pairs of running shoes, Carlson finished the last stage of the race, 27 miles, in 3:39 and reached the White House on June 2. His total accumulated time of 512 hours and 10 minutes earned him second place honors. Robert Young, 32, from London, England, averaged 9:20 pace for the entire journey and won the race by a 30-hour margin over Carlson. Carlson had two motivations for the challenge: He was raising funds for the100 Mile Club, a charity that promotes physical activity for elementary school children. And he did it in the name of science. To help answer that question, Carlson monitored his fellow competitors’ cardiovascular health, dietary, and sleep patterns. The seven athletes who completed the race represented a range of ages and geographic backgrounds. The finishers included Alex Ramsey, 30, from Hawaii, who ran most of the route barefoot, and Newton Baker, a 73-year-old grandfather of three from Vermont. And Carlson noted that the runners’ responses to the extreme physical challenge were just as diverse. In the next few weeks, Carlson plans to send all the data he collected, from blood samples to food journals to gastrointestinal biomarkers, to a dozen colleagues at universities across the country. The research team includes two Boston Marathon medical directors and experts in the disciplines of physiology, sports psychology, and public health. You don’t need a doctorate to understand Carlson’s plan after he returns to his home in Michigan on Saturday. “Rest and more rest,” he said with a laugh.